Headlining Residency At The Colosseum At Caesars Palace In Las Vegas Kicks Off May 6Th – Tickets On Sale Now! (April 14, 2015 – Dubai, UAE) - Multi-platinum global superstar Mariah Carey has been signed to an exclusive contract with Epic Records, a division of Sony Music Entertainment, it was announced today by Antonio ‘L.A.’ Reid, Chairman and CEO, Epic Records. Mariah now returns to Sony Music where her hitmaking career began, with a history-making string of 18 Hot 100 #1 hits that made her the best-selling female artist of all time. 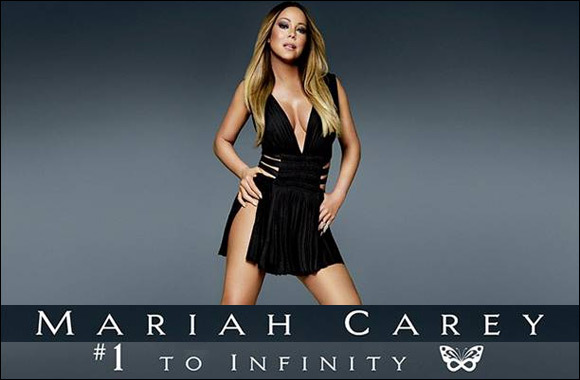 “MARIAH CAREY #1’s,” her headlining residency at the Colosseum at Caesars Palace in Las Vegas, will kick-off on May 6th, in between the release of “Infinity' and Mariah Carey #1 To Infinity. For the first time ever, Mariah will perform all 18 of her #1 hits in one production, designed exclusively for the Colosseum, also featuring fan-favorite album cuts, never-before-performed songs, and other surprises. Presented jointly by AEG Live and Caesars Palace, tickets to the first 18 performances in 2015 are on-sale now: May 6, 9, 10, 13, 16, 17, 20, 23, 24; and July 8, 11, 12, 15, 18, 19, 22, 25, 26. To purchase tickets, go to: thecolosseum.com or axs.com. Mariah is a singer/song-writer/producer recognized with multiple Grammy Awards, 21 American Music Awards, Billboard's “Artist of the Decade” Award, the World Music Award for “World's Best Selling Female Artist of the Millennium,” and BMI's “Icon Award” for her outstanding achievements in songwriting, to name a few – with her distinct five-octave vocal range, prolific songwriting, and producing talent, Mariah is truly the template of the modern pop performance.